It goes without saying (but I shall say it) that this is the greatest film poster of all time. The feline-dominated and controlled internet has spoken! The Mighty Goose is a victim of a gender-switch and a name-switch. While the cat is a female named Chewie in the comics, the feline swapped genders to male and is named Goose in the movie, trading a Star Wars reference for a nod to Top Gun. Of course, Chewie in the comics is not your run-of-the-mill house cat. She is eventually revealed to be a dangerous being from an alien race known as Flerken. "Flerken resemble Earth cats in appearance and behavior. They could lay up to 117 eggs and possessed a myriad of tentacles that could extend from their mouths. Their bodies also held pocket realities, bubbles of space and time that existed in other worlds." 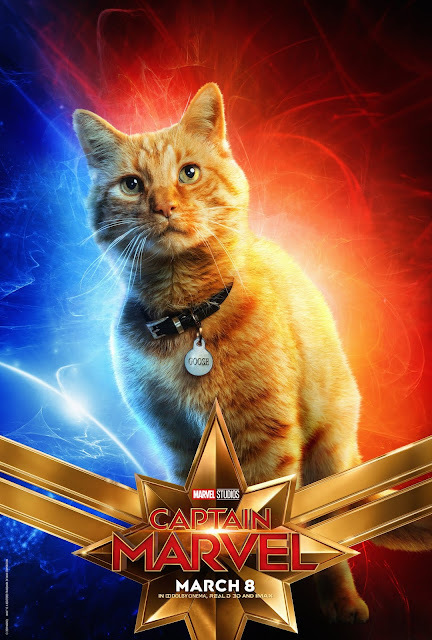 On the one hand, we don't know if Goose is a Flerken in the Captain Marvel film - or if Goose is an ally or dangerous. On the other hand, since Flerkens have longer lifespans than earth cats, Goose may likely still around in the modern-day Marvel Cinematic Universe. 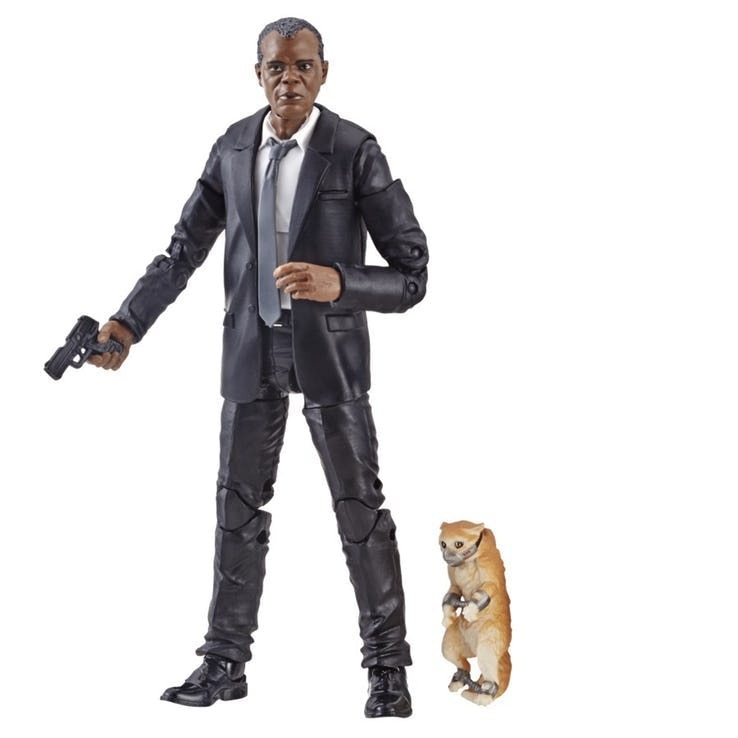 Well...even muzzled and in tiny cat-shackles, Goose looks Flerken AWESOME! Captain Marvel will be released March 8, 2019. Copyright © 2019 John Kuczaj, All Rights Reserved. Awesome Inc. theme. Powered by Blogger. The opinions expressed on this website are my own and do not reflect the views of my employer. The posts on this website are provided "as is" with no warranties and confer no rights.